Before I post part two of Technology Tools for ADHD I wanted to give a plug to Dr. Charles Parker's new book on ADHD Medications. 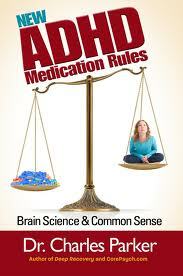 The book is called, New Medication Rules: Paying Attention to the Meds for Paying Attention and in this book Dr. Charles Parker makes a case for treating ADHD with the goals of what symptoms are to be improved in mind. This may seem like an obvious way to approach the treatment of any condition but, ADHD treatment is frequently not approached in this manner. 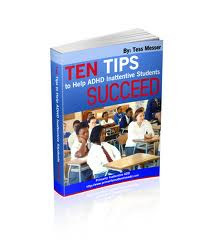 Dr. Parker’s book outlines of treating ADHD without first establishing a “targeted outcome” and explains that if you do not first make a goal and then assess how well the treatment is approaching that goal you will be in the dark regarding drug treatment effectiveness or, lack thereof. He uses this analogy. Treating ADHD without a treatment target is “like playing basketball without hoops; there’s a lot of running around with no goal.” Dr. Parker also cautions patients and parents to be wary of “diagnosis by medication” and of providers who use a “trial of stimulant medication.” to make the diagnosis of ADHD. The books explains why ADHD drug treatment must be approached in a precise manner using the correct dosing and the correct measurement tools to determine effectiveness. Dr. Parker does an excellent job of explaining the rapidly growing field of brain science and of informing us on how functional brain activity, nutrition, and the vast variety of drug treatment options affect the symptoms of ADHD. Other ADHD spectrum difficulties such as anxiety, depression, bipolar disorder, sleep disorders, oppositional symptoms and traumatic brain injury are also discussed. Breaking down the core symptoms of ADHD into three subtypes, Acting ADHD, Thinking ADHD and Avoiding ADHD, Dr. Parker describes the improvements in specific symptoms that you are shooting at with the medication prescribed. 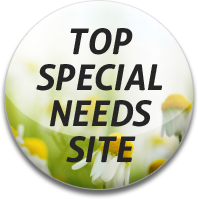 He reports that the problem with the DSM categories, Hyperactive, Inattentive and Combined, is that they are too vague, giving clinicians only limited information regarding the behavioral treatment goals that you are trying to achieve. New medication Rules contains valuable information regarding the many variables that can affect the way individuals absorb and metabolize ADHD drugs and of the pitfalls of certain drug combinations that can cause treatments to be ineffective or worse, dangerous. Dr. Parker explains how a drug’s duration of effectiveness varies from person to person and why individualized adjustments in medication dosing needs to be based on an understanding of how the individual patients metabolizes medications. The book does a thorough job of explaining how a co-diagnosis of depression, anxiety, bipolar disorder and traumatic brain injury (TBI) can cloud the ADHD treatment picture and offers concrete advice and solutions for addressing this problem. Dr. Parker’s advice on how to reach the ideal dose for any given medication regimen is easy to understand and extremely helpful. Bonus information in New Medication Rules includes a valuable discussion of the importance of breakfast including an interesting oatmeal/egg recipe (that I will probably not try ;) but that does hammer home the point that breakfast is extremely important, a discussion of why sleep matters, and a discussion of the importance of finding the right medical team to treat your ADHD symptoms.